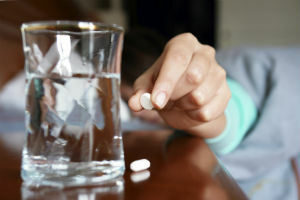 Patients taking sleeping pills should use extra caution if driving the morning after taking Ambien, Restoril or Desyrel. According to a new study, these sleeping pills can significantly increase a persons risk for being involved in a car accident, even to the equivalent of having too much to drink. If you or someone you love has been injured in an auto accident, our team of reputable personal injury attorneys can help. We will provide you with a free legal review of your claim to find out if you are entitled to take legal action against the at-fault party. The findings justify the U.S. Food and Drug Administration (FDA) warnings about the pills. In 2013, the FDA told makers to cut the recommended dosage of sleeping pills after research revealed that they can remain in the blood stream long enough to interfere with morning driving. This most recent study analyzed the medical and driving records of more than 400,000 people in Washington to identify those who were given new prescriptions for sleeping aids between 2003 and 2008. Of those newly prescribed to the pills, the analysis showed that users of Ambien were more than twice as likely to be involved in a car accident as non-users over the five years studied. They also found that the use of Desyrel nearly doubled the risk and Restoril led to a 27 percent higher risk for being involved in an accident. According to the team of researchers, these risks were equivalent to having a blood alcohol concentration limit between 0.06 and 0.11 percent. The legal limit in all states is 0.08. Driving while impaired can severely limit a drivers ability to react to situations on the road and can greatly increase their risk for being involved in an accident. If you or a loved one has been injured by an impaired driver(http://www.edwardslawok.com/oklahoma-dui-collision-attorney.html), it is in your best interest to consult with a committed auto accident attorney in Tulsa to find out if you may be entitled to compensation for lost wages and pain and suffering. Call The Edwards Law Firm at 800-304-9246 for a free, no obligation consultation to discuss your legal rights. You can also complete a Free Case Evaluation form.